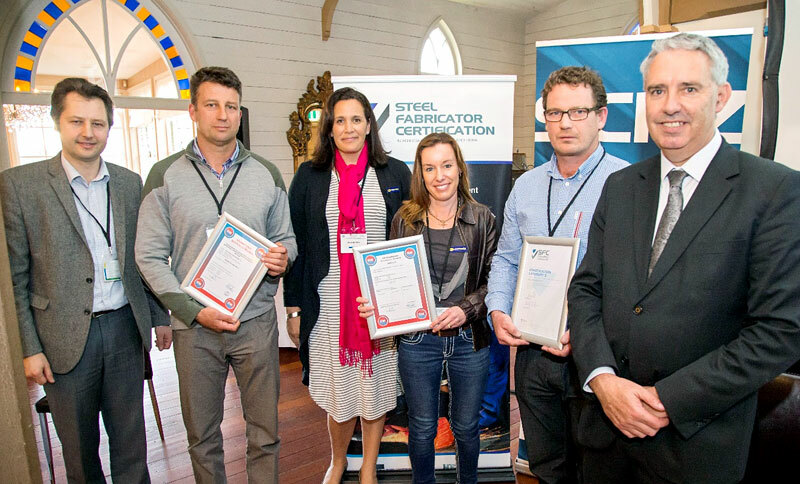 The Steel Fabricator Certification (SFC) scheme continues to grow strongly with the latest group of three structural steel fabricators to achieve certification recognised at the Steel Construction New Zealand (SCNZ) AGM in Napier on 16 September. 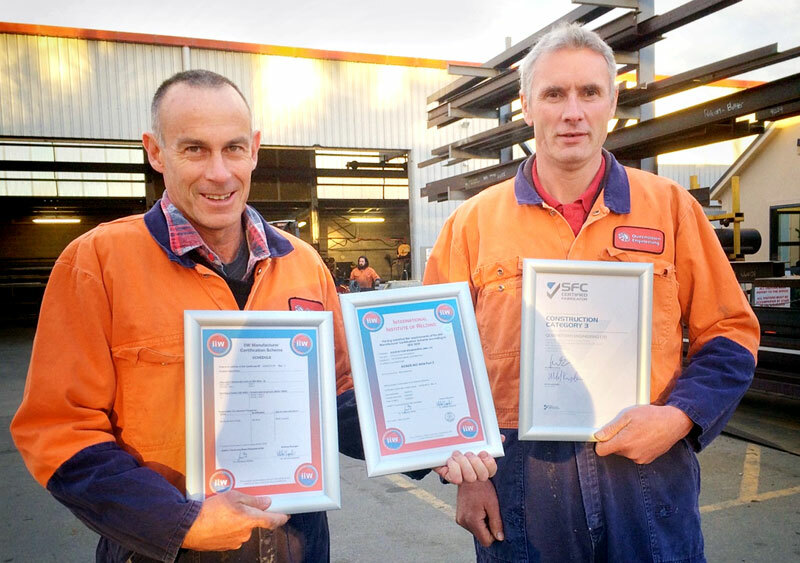 Since SFC’s introduction, 23 fabricators – representing 75 percent of New Zealand’s structural steel output – have become certified. 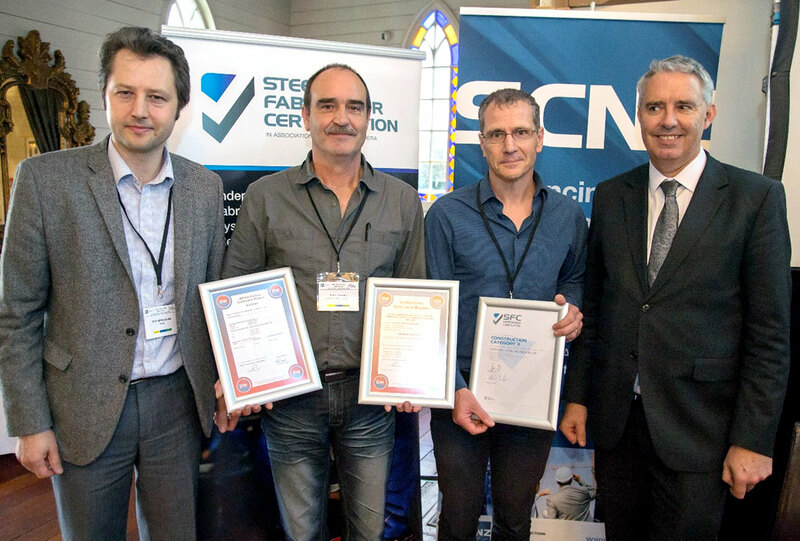 SCNZ and HERA, together with Mayor of Hastings Lawrence Yule, presented SFC certificates to Southern Cross Engineering Ltd, Steelworks NZ Ltd and Queenstown Engineering Ltd. The SFC qualification will soon be mandatory for all Steel Construction New Zealand (SCNZ) fabricator members. Members of SCNZ voted unanimously to introduce the compulsory requirement showing overwhelming support for the SFC scheme and to raising industry standards at its AGM in Napier. New SCNZ fabricator members must now qualify for SFC prior to being able to become a SCNZ member. Existing SCNZ members now have four years to meet the new requirement. This timeframe will allow the industry to prepare – there are currently 64 steel fabricator members to be certified. The SFC process involves an initial audit followed by annual reviews. Express an interested in becoming certified! Visit the Steel Fabrication Certification Scheme website or contact our General Manager Welding Centre and SFC Scheme Manager Dr Michail Karpenko. Southern Cross Engineering being presented their SFC certification by HERA General Manager Welding Centre Dr Michail Karpenko (left), and Hastings Mayor Lawrence Yule (right). Steelworks NZ being presented their SFC certification by HERA General Manager Welding Centre Dr Michail Karpenko (left), and Hastings Mayor Lawrence Yule (right).